She was born Laura Mountney in 1925. She attended Marshall’s School in Merthyr Tydfil, Wales until 1932. She served in the Women's Royal Naval Service during the war. In 1949, she married Sir Bernard Albert Ashley, and had 4 children Jane, David, Nick and Emma. Laura worked from 1945 to 1952 as a secretary for the National Federation of Womens Institutes in London. 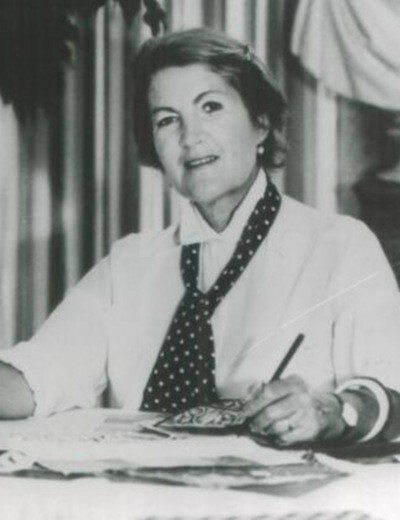 In 1953 with her husband Bernard Ashley, Laura Ashley formed a company for the production of printed headscarves and tea towels. In 1959 she designed a short sleeved Smock top, based on a gardener's smock, made of 100% cotton. The first Laura Ashley shop in the United States, was opened in 1974 in San Francisco. This was followed by the New York shop in 1977. Laura Ashley died in 1985. By 1984 the company that had begun in a London kitchen, was bringing in $ 50 million a year in it's 54 US shops alone. Her lady-like revivals of classic clothing and old-fashioned furnishings, really appealed to Americans. When Laura Ashley died in an accident in 1985, the Company continued. In 1996, a 20 year contract was signed with Cosmetics giant L'Oreal to produce perfumes, toiletry and cosmetic products under the Laura Ashley name. However after only 6 years, the company sued L'Oreal in 2002 for 18 million pounds, as they had not developed the true nature of the Ashley brands. Three different designers were appointed to take over, and then in 1995 Ann Iverson took over. She succeeded in turning a 31 million pound loss into a 10 million pound profit. Laura Ashley's children are now running the concern, and the closely-knit family firm has become phenomenally successful. Her daughter Emma was encouraged by Laura's husband Sir Bernard Ashley to carry on the house. She designed her first dress when she was only 14. She has introduced a new line for the house called Elanbach after Laura Ashley's home in Wales. Several designers have come and gone at the house. 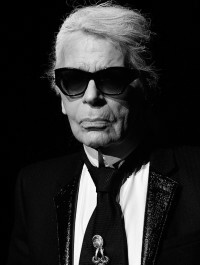 Alistair Blair, trained at Dior and Givenchy left in 2004 He was followed by Ainum Mohd-Saad, who said she was stepping down for personal reasons early in 2005. During the 60's, she created voluminous dresses with Patch pockets and toward the end of that decade, ankle length printed cotton dresses. 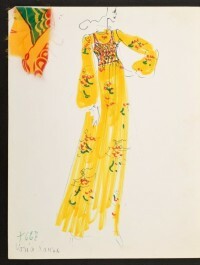 In the early 70's, some of her best-known designs appeared, including Edwardian style dresses, many with high frilly collars and leg of mutton sleeves or scoop necks and short puff sleeves. Most of her fabrics were printed with simple floral motifs based on 18th and 19th century patterns, tiny geometric prints, flowers, trailing sprigs and fine spots and strips. Until the early 1980's the company designed and manufactured garments in cotton only, but later collections included clothes in cotton mixtures and jersey fabrics.